European creditors and the International Monetary Fund are still in disagreement over debt relief measures for Greece, as time is running out for the completion of the bailout program evaluation. 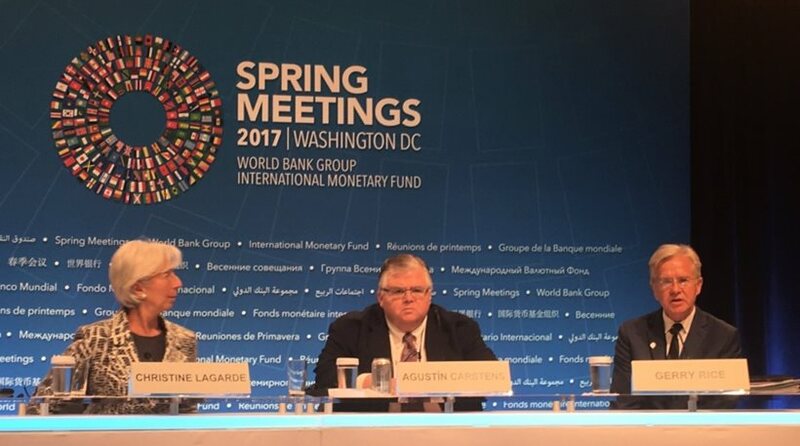 The IMF Spring Meetings in Washington did not go as expected for the Greek team, headed by Finance Minister Euclid Tsakalotos. The IMF-Europe disagreements on targeted primary surpluses and debt easing measures were not resolved during the meetings. The Fund asks for more and clearer medium-term debt relief measures, something that the European institutions are reluctant to provide. It is uncertain at this stage whether the IMF will participate financially in Greece’s third bailout program. The Washington-based organization is preparing a Memorandum of Economic and Financial Policies (MEFP) separate from the Memorandum of Understanding that Athens has to agree to with the European institutions. At the same time, Greece is behind in legislating measures required for the completion of the review. Given the uncertainty over IMF’s participation in the program, Athens is reluctant to legislate new fiscal measures without knowing what debt relief measures it will get. European Commissioner for Economic and Financial Affairs Pierre Moscovici told reporters that the institutions are working together to find a solution for Greece. He acknowledged that Athens has made progress in achieving a good primary surplus for 2016, but said that more reforms need to be implemented. The Greek government is hoping for a staff level agreement before the May 22 Eurogroup. A Greek official close to the talks said that the government aims at legislating all measures required by May 15, so that a staff level agreement is reached before the meeting of euro zone finance ministers on May 22, who in turn will give the green light for the disbursement of the next loan tranche. The tranche is needed because in July Athens has to make loan repayments totaling 6 billion euros. However, IMF and Europe must agree between them before a staff level agreement is reached. The measures to be voted in Greek Parliament must first get the OK from the European Commission and the IMF.